ASA and AARP have joined forces to improve the brain health of older patients undergoing surgery. The two hosted the Perioperative Brain Health Initiative Summit: Innovations to Promote Brain Health Before, During and After Surgery in June to discuss the science and prevention of perioperative neurocognitive disorders (PND). A summary of the summit and discussion of PND are the focus of Sunday’s session, “The Brain Health Initiative: A Public Health Goal.” Brain health is a significant concern for surgical patients 65 and older. Surgery puts this population at increased risk for developing delirium and delayed neurocognitive recovery. Delirium is a disorder characterized by inattention, disorganized thinking and confusion. Those affected by it may become agitated and restless, but hypoactive forms also are common. Delayed neurocognitive recovery (including decrements in memory and executive function) is frequently described by patients as being in a “brain fog.” It usually lasts for three months. Both forms of PND can slow recovery, leading to a longer hospital stay, discharge to a rehabilitation facility or reduced functional abilities at home. Lee A. Fleisher, M.D., will moderate a session about the Perioperative Brain Health Initiative Summit and the prevention of PND. “Our goal is not only to help older patients and their families/caregivers better prepare for surgery but also to develop resources that will support providers to deliver the best care,” said ASA Economics and Practice Innovations Executive Roseanne M. Fischoff. Other postoperative neurocognitive disorders include decrements in memory and executive function, which typically resolve in weeks to months. Both forms of PND can slow recovery, leading to a longer hospital stay, discharge to a rehabilitation facility or reduced functional abilities at home. 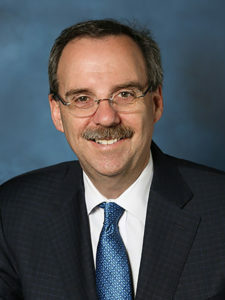 Lee A. Fleisher, M.D., Chair of the Department of Anesthesiology and Critical Care at the University of Pennsylvania, will moderate the session, just as he did the June summit. The session will outline ASA’s goals for the Perioperative Brain Health Initiative, help members identify patients at risk for postoperative cognitive changes, develop a local patient safety initiative and review quality and performance improvement, geriatric anesthesia, health policy and patient safety. In June, the summit featured experts in the field of PND who presented a number of prevention issues, including how to develop and implement best practices to reduce the cognitive risks for older individuals facing surgery, inform older people about the risks of short- and long-term cognitive decline and help hospitals use screening tools to assess PND risk. Currently, there are not effective treatments for PND. However, prevention through implementing strategies by identifying high-risk individuals via screening may be possible. Studies show that as many as 20 percent of older patients are cognitively impaired before surgery.